The Chart of the Day belongs to National Beverage (FIZZ). 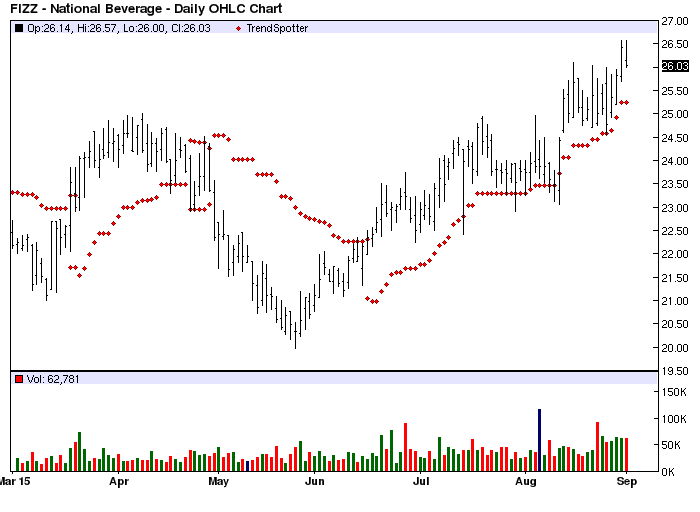 I found the soft drink stock by using Barchart to sort the Russell 3000 Index stocks first for technical buy signals of 80% or better then for very positive Weighted Alphas. Next I use the Flipchart feature to review the charts. Since the Trend Spotter signaled a buy on 6/16 the stock gained 16.47%. None one of the regular technical trading strategies have been effective on this stock so I would use a trailing stop loss 10-15% below is most recent high to protect gains.